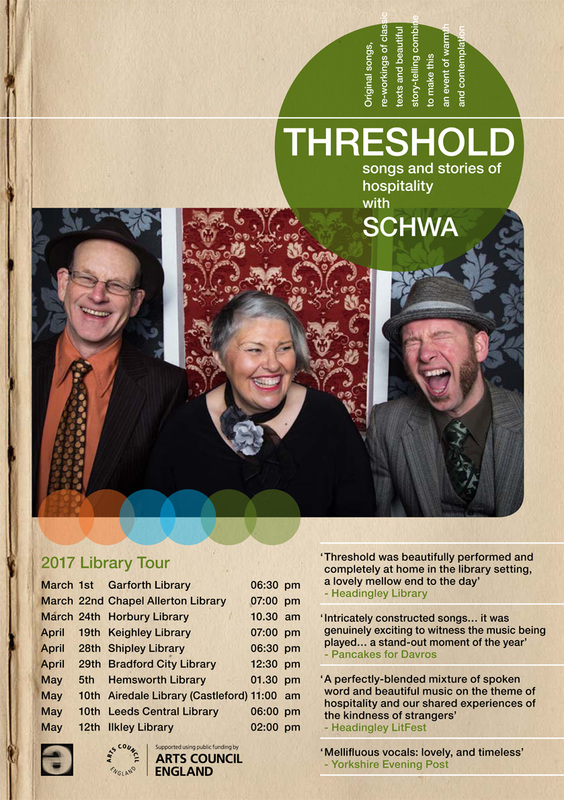 ‘Schwa‘ have been awarded funding from Arts Council England for a 2017 Libraries tour of their show ‘Threshold’. Working in partnership with Libraries from Leeds, Bradford and Kirklees they will tour their show to satellite libraries in each district March – May 2017. Ossett Observer worked with Schwa on the R&D phase of ‘Threshold’ in 2016 and will now be working in a mentoring capacity on the delivery of this next phase. Take a look at some of the audience responses to ‘Threshold’.